What I love most about being a social media marketing professional is that I get to be online a LOT. I am always looking for content and as a news junkie, I love reading blogs and e-magazines about topics that interest me. 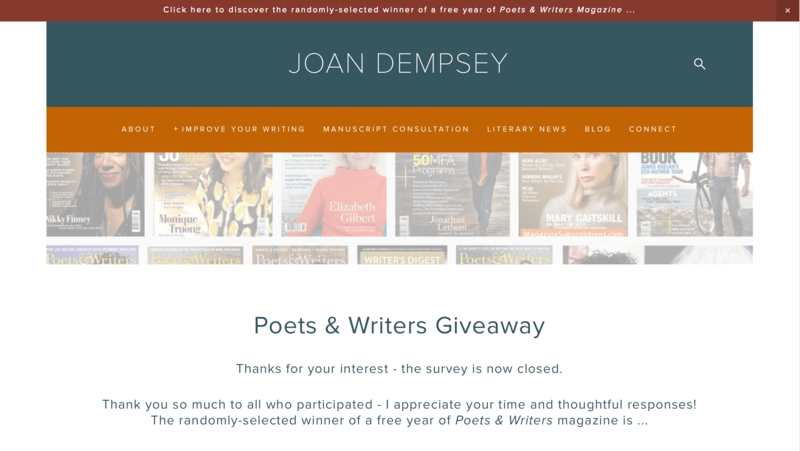 I was scrolling around on Twitter one day last week perusing other writers and came across the feed for Joan Dempsey, a fellow author and word lover who also teaches a course to help writers “streamline their sentences.” I saw that she was running a contest to win a free year’s subscription to Poets & Writers magazine, which is one of my favorites. 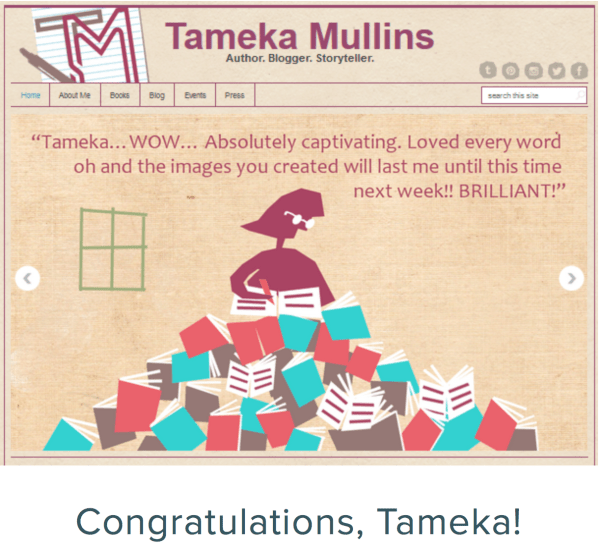 I completed a short survey about writer’s interests and then sent off my entry. Having enjoyed the process and reading through Joan’s website, I followed her on social media and went on with my day. I didn’t think I was going to win. What a nice way to start the week, huh? I think this is a good sign that I will be devoting a lot of my time to writing this year. What do you think?